-- Two paths, destined to cross. Friendship, faith and love are intertwined in ways neither could have imagined... even with miles between them. Annalisa Jones still entertained the possibility of marriage, a new chapter in her life. It has been a long wait but she trusts God. When Annalisa least expects it, love calls softly to usher in an intriguing new era. There is no denying the mutual attraction between her and Orane Conway. Sparks flew! In fact, Annalisa fell in love with him before meeting him. 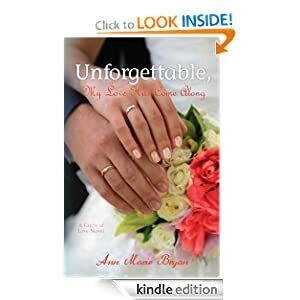 In her extraordinary journey, Annalisa develops the courage to follow the convictions of her heart and discovers the joys and benefits of having a Godly partner.